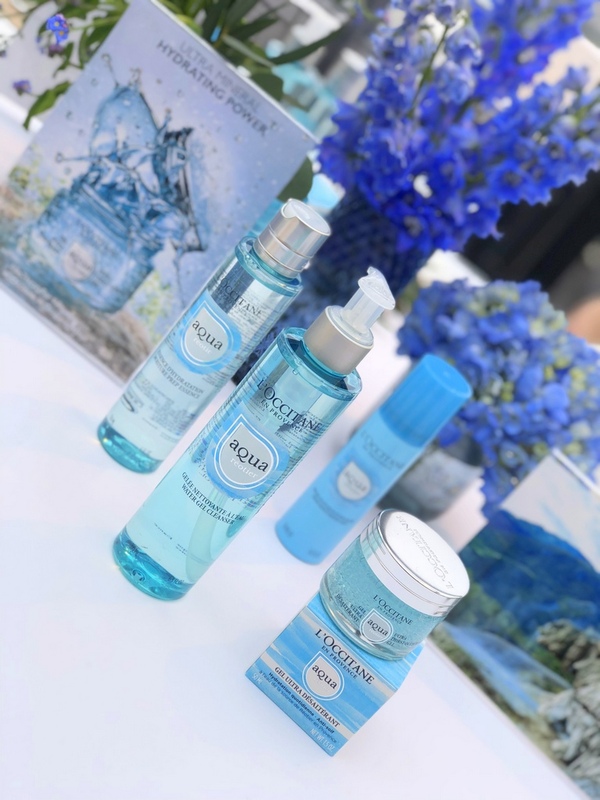 This morning, I had a very lovely start to my day in the form of meeting up with L'Occitane, one of my favourite brands for years now, to hear about their new skincare line, Aqua Reotier. 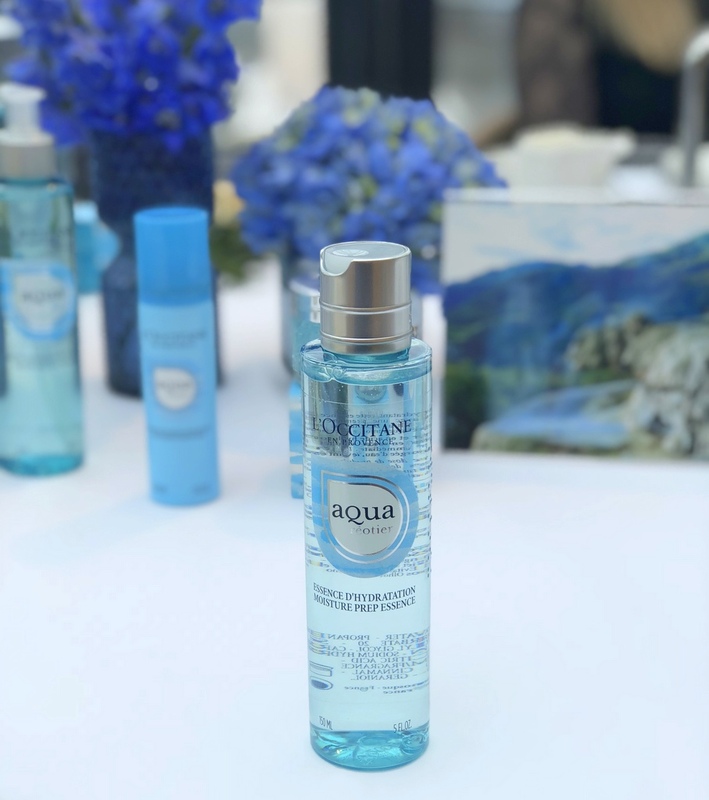 As it'll take me a while to trial this out, I thought an introductory post was in order to show you what's in the range, so you what you're looking for when you visit L'Occitane. So Aqua Reotier, I'm not entirely sure how to pronounce Reotier, but as I butcher it, I like to think I sound very continental and French. The Reotier spring contains magnesium and is said to be ten times richer in calcium than other French thermal waters. Calcium helps maintain the skin's barrier and helps it retain its natural moisture. Now I need all the calcium I can get because this cold weather is playing havoc on my poor scaldy face! The range has a really good price point and is a great entry to L'Occitane if you're new to the brand. I know that the cost of their skincare can be a bit eye watering, but this is a good place to start. Especially if your skin is lacking in moisture and hydration! 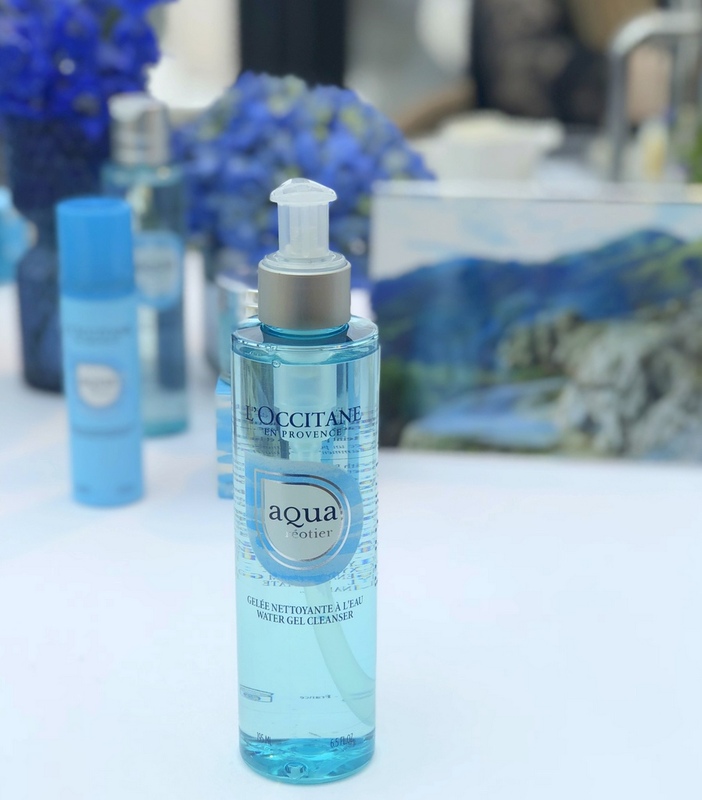 The Water Gel Cleanser (€19) transforms from a gel to a lather, promising to leave skin squeaky clean without drying it out. I'm a big fan of L'Occitane cleansers anyway so this is one I'll be testing out very soon and comparing it to the other ones in my stash. The range has two moisturisers, the Ultra Thirst-Quenching Gel and Ultra Thirst-Quenching Cream, both €29. The gel is aimed at those with normal to combination skin, and the cream gives normal to dry skin that extra bit of hydration. Now I'll be using the gel in the mornings as I tend to go for a lighter moisturiser for day time but like something a bit richer at night. That's when I'll use the cream. 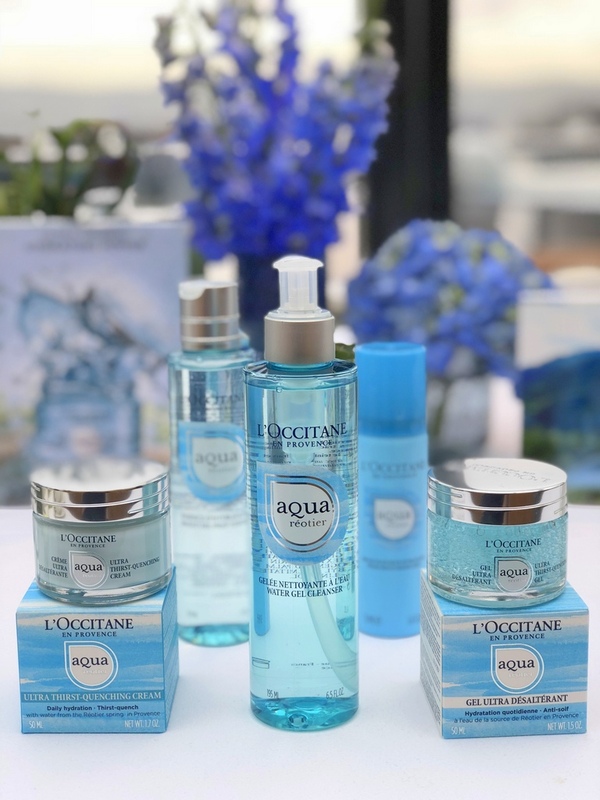 They contain hyaluronic acid, glycerine and of course the calcium-rich Reotier water, all working together to give our skin all the moisture. All of it! Now, if you want to add an extra step to your skincare routine, then the Moisture Prep Essence (€24) is worth checking out. Essences have become a proper "thing" over the last couple of years and they're a step between cleansing and moisturising, promising to prep the skin and make your moisturiser work even better. And finally, what skincare range containing thermal spring water would be complete without a mist! 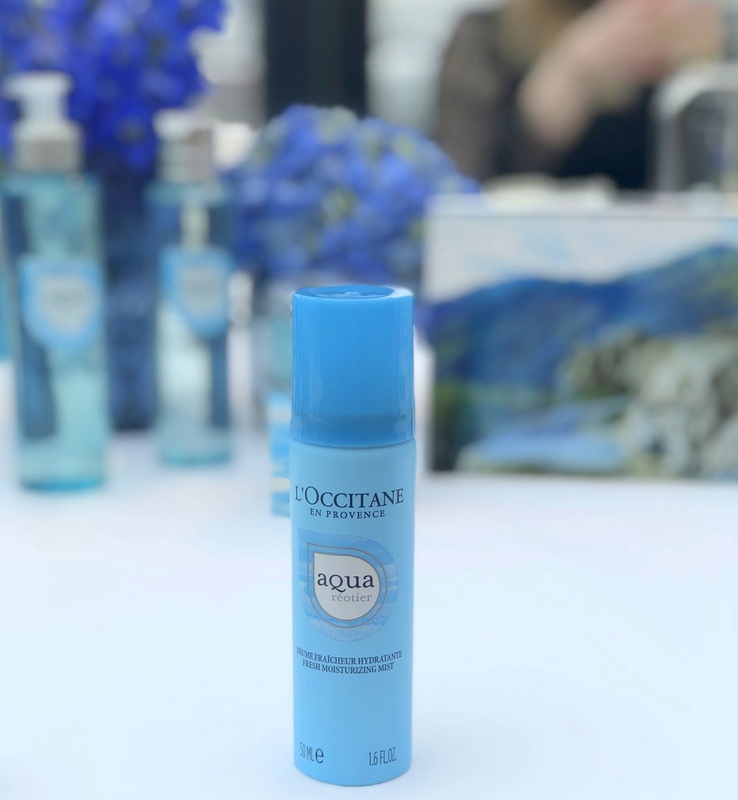 The Fresh Moisturising Mist €14 mixes the Reotier water with hyaluronic acid meaning you can lash it on throughout the day and give your skin a bit of a hydration boost when needed. I love an aul mist and can't wait to add this one to the collection! The range launches in April and by then I'll have tested it out properly. 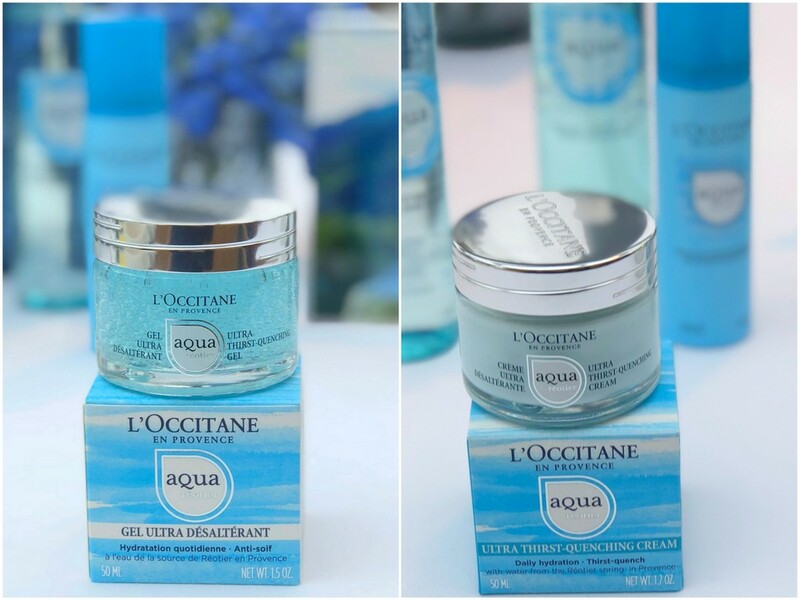 But for now, this was to whet your appetite and show you what's coming from L'Occitane soon! Are you intrigued?